Save up to £10,000 per couple on 2019 departures and enjoy savings on these 15-day luxury European river cruises from Amsterdam to Budapest or vice versa, including flights, drinks, tours, meals, tips and more! Savings so good we cannot tell you the river line - but trust us - you will not be disappointed! Savings available on all grades. Subject to availability. Call us now to book or click here to enquire. Fly from the UK to Amsterdam. On arrival, you will be met and transferred to your ship before a Welcome Reception this evening. After your first dinner on board, you may like to explore the city at your own pace. Choose from two activities today. 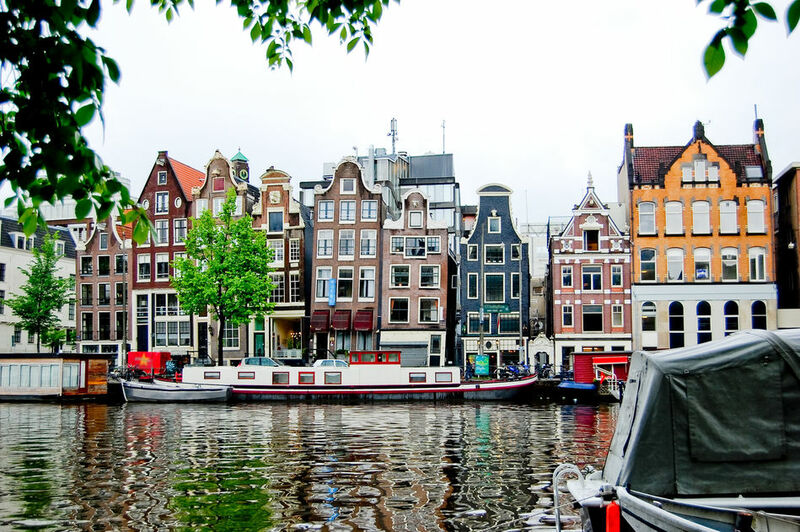 Perhaps cruise Amsterdam’s canals or visit Zaanse Schans. Tonight, attend a Gala Welcome Dinner. Dock in Rüdesheim, one of Germany’s most revered cultural and historic cities, and choose todays sightseeing activity. Take a tour of Siegfried’s Mechanical Musical Instrument Museum, home to the world’s most beautiful collection of fascinating automated musical instruments. Witness the skilful art of glass-blowing on board as you cruise toward the pretty Franconian town of Miltenberg this morning. 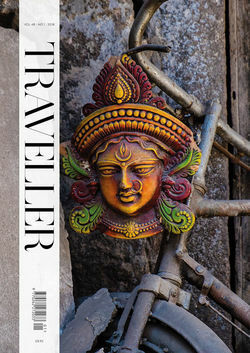 Watch on in wonder as a highly skilled expert creates beautifully crafted objects using traditional techniques, and learn more about this time-honoured tradition. 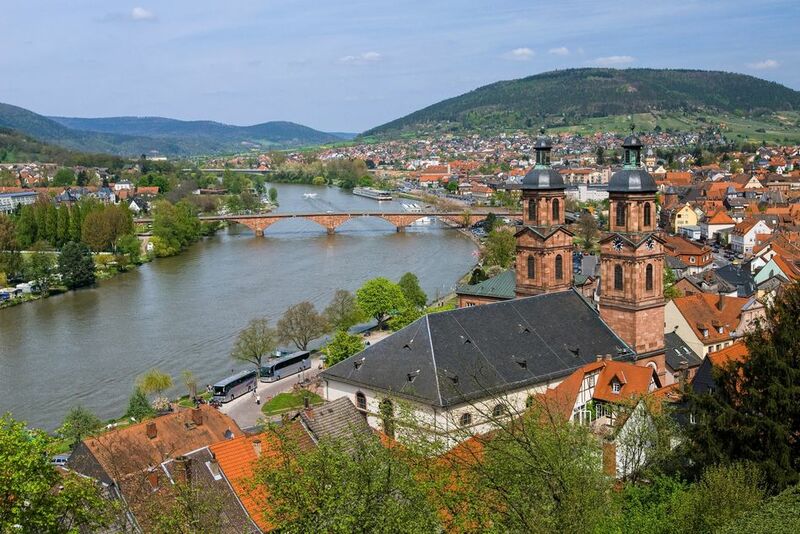 Spared from the destruction of World War II, the town of Miltenberg is much like a time capsule, revealing what old-world village life was like in Germany before the war. Featuring remarkably preserved buildings and lively town squares, this is a beautiful example of Germany’s pre-war history. 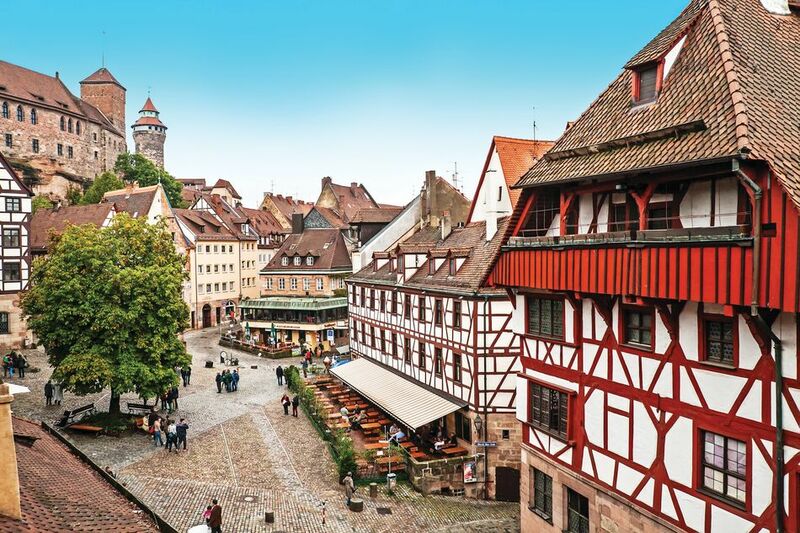 Sightseeing choice - Perhaps stroll along the winding cobblestone lanes, explore quaint half-timbered shops, mingle with friendly residents and sample some delicious local fare along the way. Alternatively, acquaint yourself with the German language during an interactive lesson on board your ship. 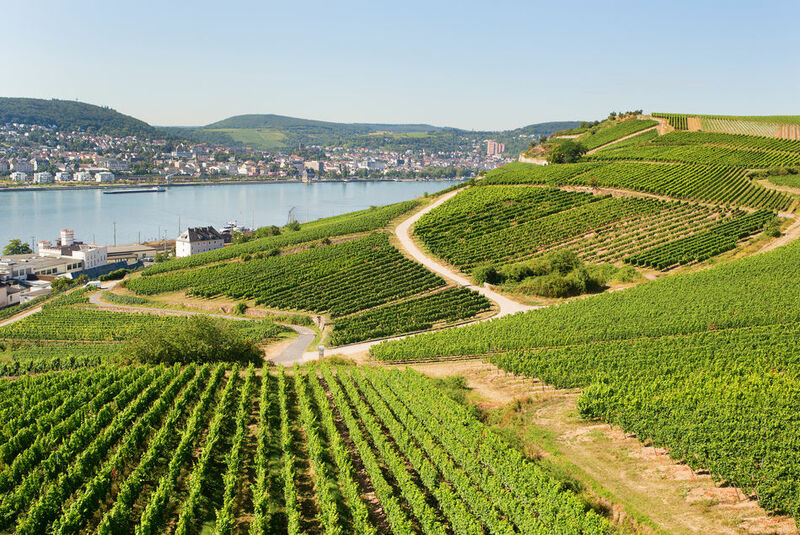 Otherwise be guided through a picturesque Franconian vineyard as you learn about the specialty wines of the region during a hike. The immense architectural beauty of Würzburg is on display today as you stroll through this fascinating city to the Würzburg Residence. An 18th-century palace that once belonged to the Prince-Bishops of Würzburg, this regal building is home to a number of historic wonders. 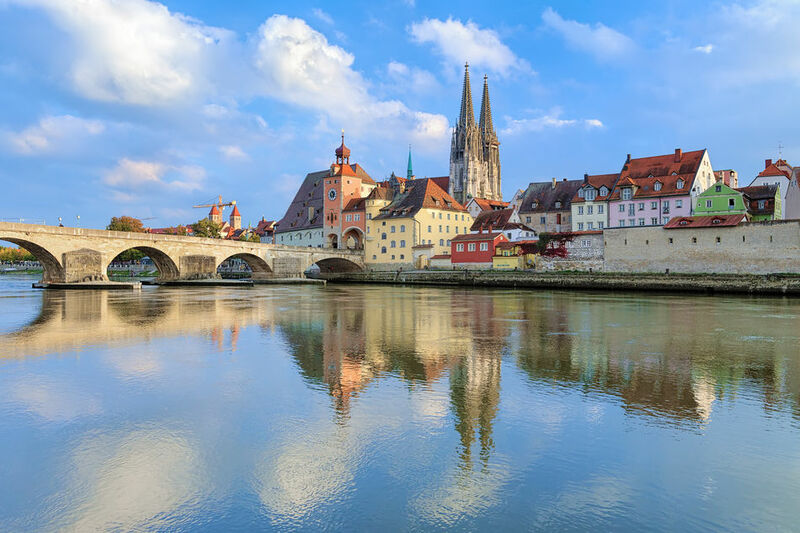 Sightseeing choice -If you prefer to see more of the countryside, embark on a journey along the Romantic Road, one of Germany’s original and most celebrated holiday routes. This beautiful thoroughfare takes you through lush wooden swathes of land to the marvellous medieval town of Rothenburg where you’ll stop for an insightful tour.Otherwise, visit a family-owned farm, where you’ll tour the property before sitting down to morning tea as you learn about local farming life. 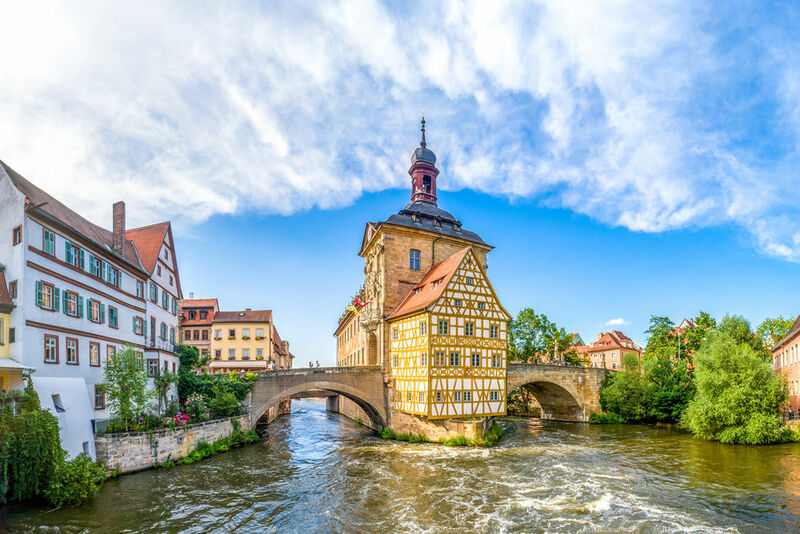 This morning your ship will arrive in World Heritage-listed Bamberg, another of the few German cities that wasn’t destroyed during World War II. Here you will explore the Old Town, with a guide, to discover a range of historic churches and buildings, including the town hall on the River Regnitz. Following your tour, rejoin your ship to cruise onto the Main-Danube Canal. Having taken 32 years to construct, the canal links the North and Black seas and is recognised as a feat of modern engineering. Choose your sightseeing activity today in Nuremberg. 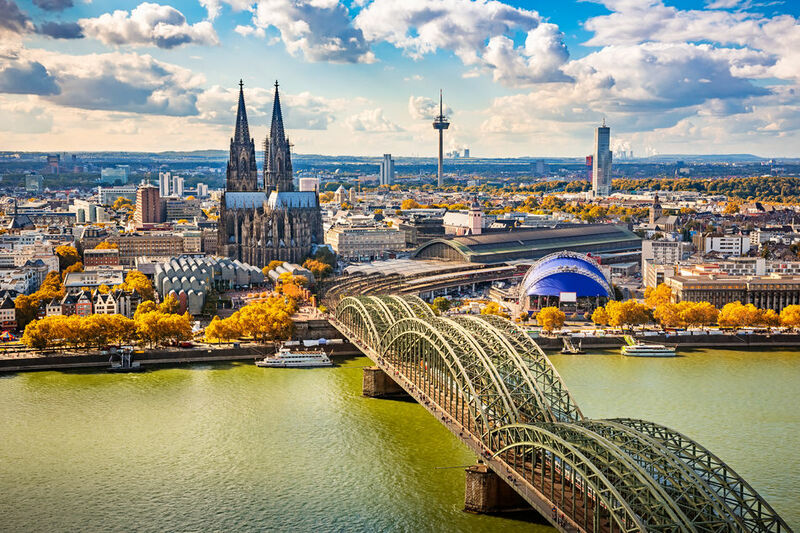 A historic tour takes you to a selection of World War II sites, including the Reich Party Rally Grounds, the site of Hitler’s now infamous annual rallies that were held from 1927 to 1938. Discover medieval architecture, including the 900-year-old ramparts that surround the city, the Imperial Castle and much more. On a guided walking tour taking in the city’s highlights, see such sites as the iconic Old Town Hall and the World Heritage-listed city centre. Alternatively, learn how to polka during a fun Bavarian dance lesson. Another option is a gourmet walking tour, where you will discover culinary secrets of past centuries. Then, gain an insight into the art of haute cuisine at the Michelin-starred restaurant Storstad, where you will enjoy a presentation and the chance to sample a variety of delights. Or perhaps hear an informative talk on board from a student of the University of Regensburg. Explore Salzburg, where a city tour includes some of the sights from the classic film, The Sound of Music. Or embark on a full-day journey to Český Krumlov in the Czech Republic, renowned for its World Heritage-listed status. With a stunning 13th-century castle above the Vltava River, its old town square and quaint lanes are teeming with ancient architecture. 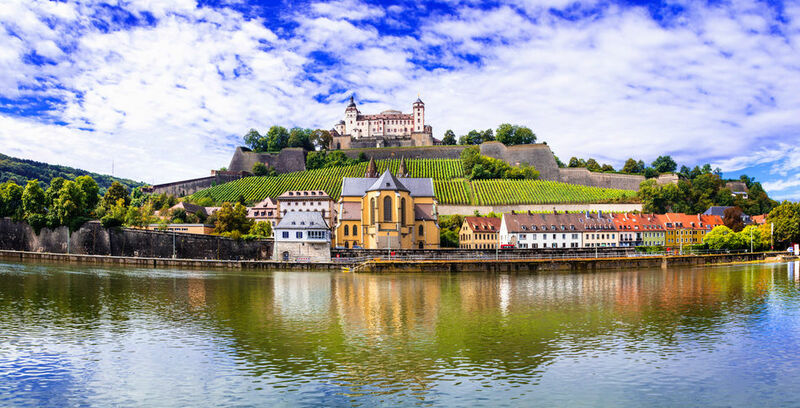 Cruise through the Wachau Valley wine region today. On arrival to Dürnstein, roam the village’s cobblestone lanes at your leisure and perhaps view the ruins of the castle where Richard the Lionheart, the King of England, was -imprisoned in 1192. On select autumn departures, perhaps participate in some vineyard work at a local winery as part of the wine harvest season. 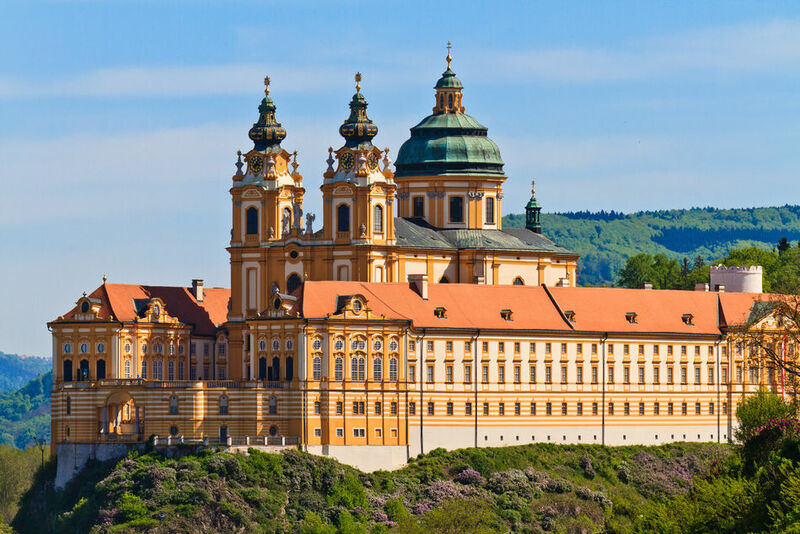 Sightseeing choices - Disembark in Melk for a guided tour of Melk Abbey, one of the world’s most famous monastic sites. Or join a local guide for a tour of the town. 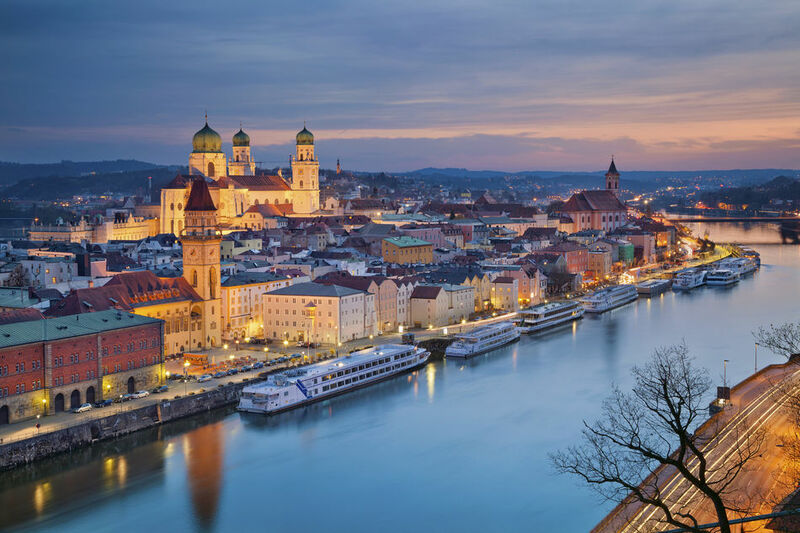 You may then choose to ride a bike along the banks of the Danube River from Melk to -Durnstein, or rejoin your ship and cruise to -Durnstein instead. Arrive in Vienna, Austria’s capital, home to striking architecture, a rich classical musical culture and vibrant cafés. Tonight, another experience awaits at the princely family of Liechtenstein’s City Palace in the heart of Vienna. Attend an exclusive Cocktail Reception and a private concert featuring members of the Mozart Boys’ Choir, a full orchestra performing classical masterpieces by Strauss and Mozart, and an operatic recital of some of the world’s most famous arias. In keeping with Viennese tradition, the evening draws to a close with a performance of the Radetzky March. Follow in the footsteps of Elisabeth of Bavaria (Sisi) and embark on an imperial train journey. Enjoy a Welcome Reception at Budapest’s Royal Waiting Room, then board your elegant steam train, which features carriages from the early 1900s. A traditional game lunch worthy of royalty is served, before disembarking for a guided tour of Gödöllő Palace, a favourite of Sisi. Later, enjoy a Cocktail Reception at Budapest’s Royal Waiting Room before returning to the ship. Operates on all departures between May and September. Perhaps embark on a city tour that offers the Fisherman’s Bastion, Heroes’ Square and more. Should you be feeling energetic, perhaps hike to Castle Hill or for a more relaxed pace, embark on a culinary tour of the Great Market Hall. Enjoy one final highlight as your ship sets off on a twilight cruise through the city. Be enchanted by the lights of the remarkable Hungarian capital sparkling around you as you enjoy your last night aboard - the perfect end to an unforgettable journey. Prices are per person, twin share and include saving where applicable. **Advertised from fare of £2,995 pp based on travel in cat E accommodation on all departures. Some dates have limited availability. ***All prices are per person twin share and include savings where applicable. Solo supplements apply, and are available upon request. Prices correct as at 16 April 2019. Offers valid on new bookings made from 16 April 2019 until sold out. Travel is valid on May – July 2019 departures only. Not combinable with any other offer unless specified, and can be withdrawn at any time. Full payment is required at the time of booking, Airfares are subject to availability of booking class at the time of booking; once booking class is sold out surcharges will apply. ‡Complimentary beverages exclude French Champagne, premium spirits and selected wines. No cash alternative available. Standard booking terms and conditions apply.